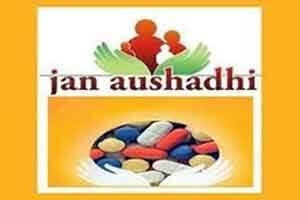 New Delhi: To promote quality generic drugs at affordable prices across the country, 762 Pradhan Mantri Bhartiya Janaushadhi Kendras are functioning in over 26 states/union territories, Parliament was informed. “In order to encourage the use of generic medicines, a country wide campaign for ensuring availability of quality generic medicines at affordable prices to all, in the name of Pradhan Mantri Bhartiya Janaushadhi Pariyojana (PMBJP) has been started,” Minister of State for Chemicals and Fertilisers Mansukh L Mandaviya said in reply to a question in the Lok Sabha. As of date, there are 762 ‘Pradhan Mantri Bhartiya Janaushadhi Kendras (PMBJK)’ under PMBJP functioning in over 26 states/UTs, he added. “For PMBJKs run by private entrepreneurs / pharmacists/ NGOs/ NGOs and charitable organisations that are linked with BPPI (Bureau of Pharma PSUs of India) headquarters through internet (using BPPI provided software) will get incentive up to Rs 2.5 lakh,” he added.